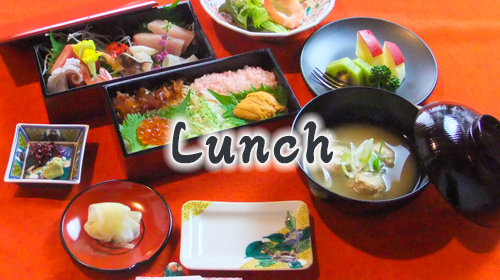 We offer special lunch menus with ingredients of Noto peninsula. 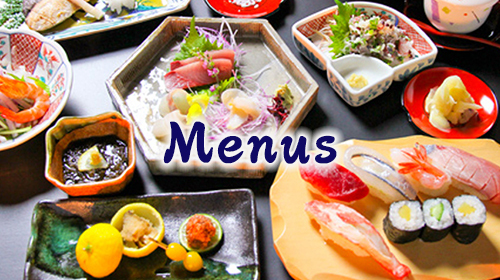 We offer a wide variety of dishes to meet the needs of a wide range of customers. The first thing that will come to your attention is our 11 meter long counter with an 8 meter glass case on top for the ingredients. This single plate of 8 meter long glass is unprecedented in any other sushi restaurants in Japan. We have four different types of private rooms. Three of them are carpeted table seating, and each of the four room is named by one of the Japanese Seven Lucky Gods. The tatami room is named Ebisu, and it is the only room with horigotatsu (sunken table) in the restaurant.